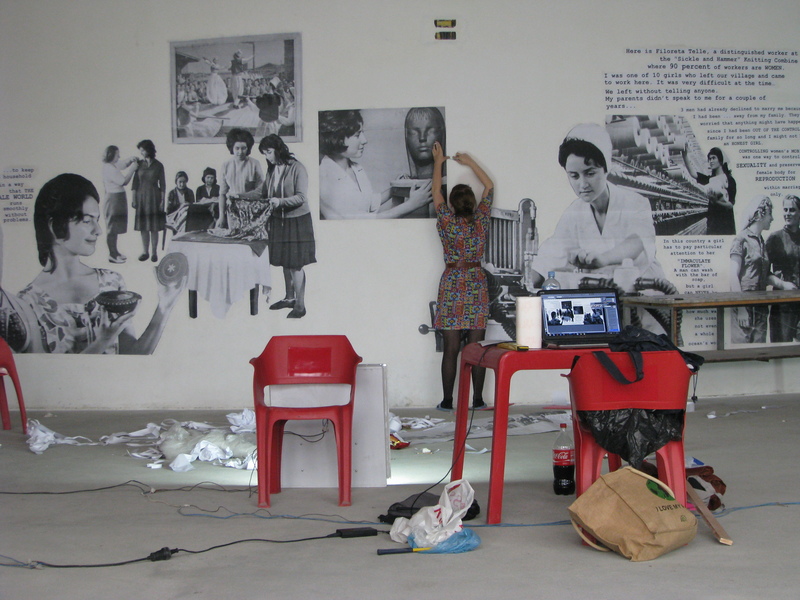 The work is inspired by the book “Albanian women on the road to Socialism”, published in 1965 by the Presidency of the General Council of the Women’s Union of Albania. The book consists of photographs of women who at work places in the areas of agriculture, industry, as well as science, art etc. 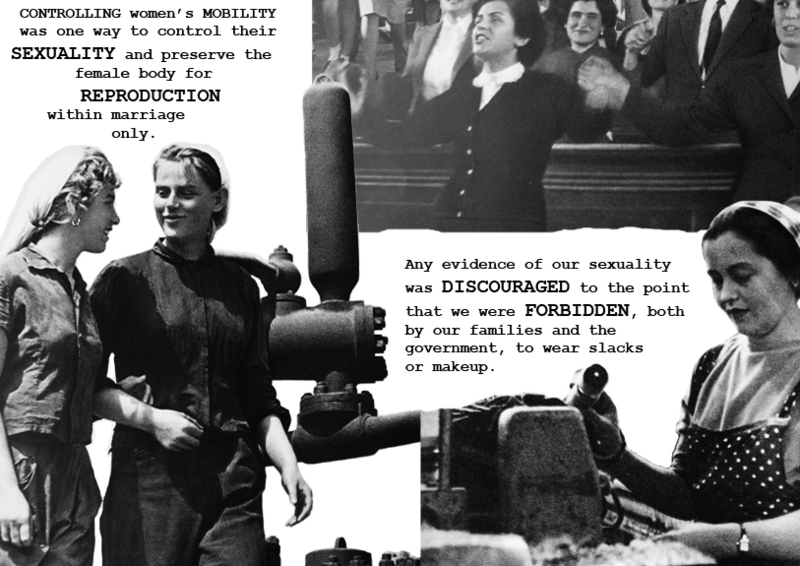 Although this was a time of great change for Albanian society, this work wants to explore effects these changes had on women. 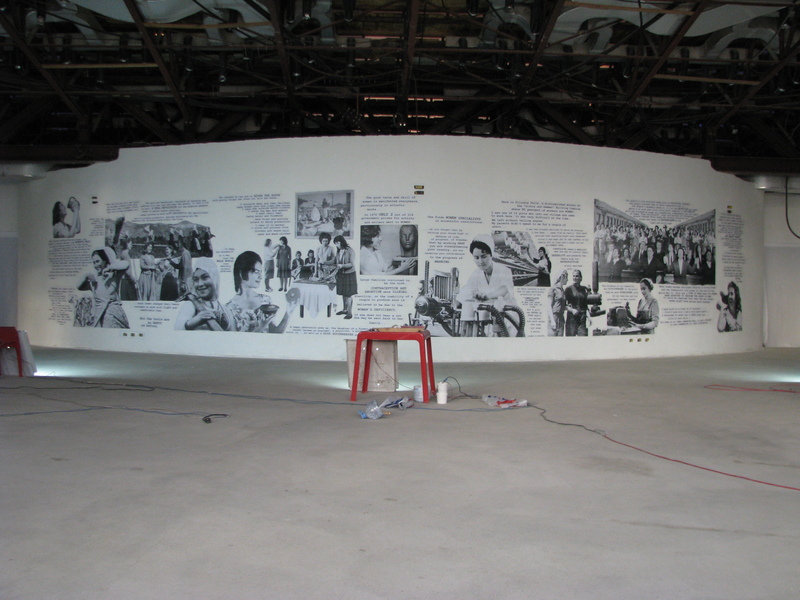 It questions the official political representation of the “progress” and “emancipation” of women in Socialist Albania. 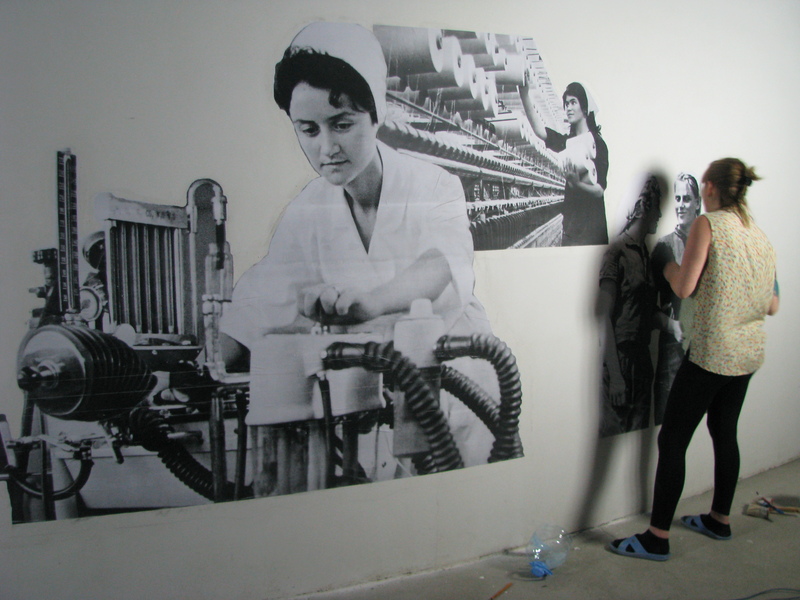 All the photos used in collage are from the book “Albanian women on the road to Socialism”. 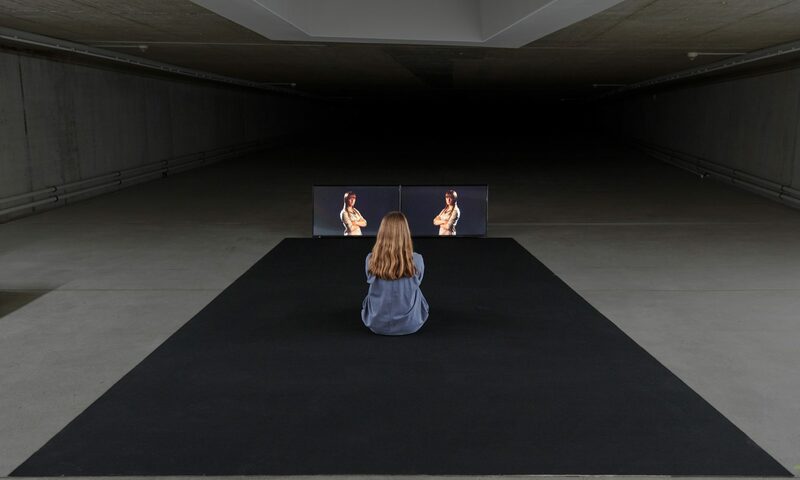 Textual part of the work consist of official narratives from the book, and of other texts that oppose it. These are selected from Albanian literature and contemporary feminist academic research related to Albania in the years of dictatorship and just after. Some textual parts are written by the artist. The last part of the text is from the novel of Albanian writer Ismail Kadare “The Pyramid” from 1995. 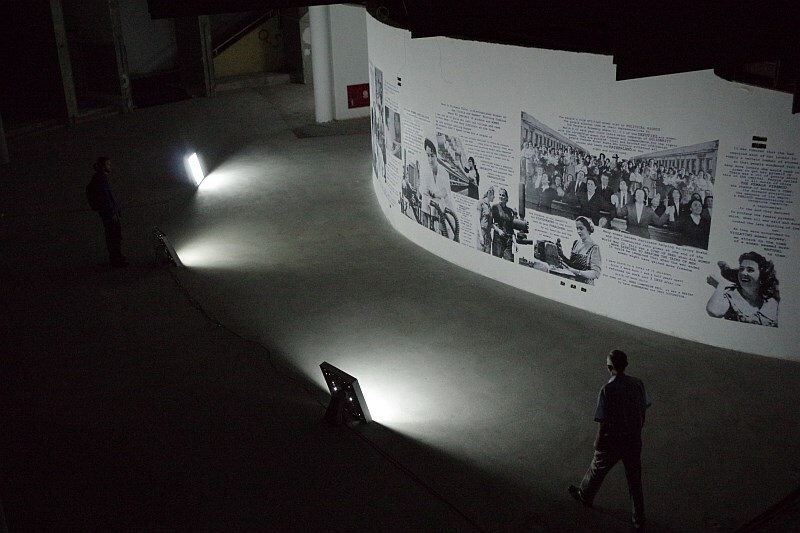 The work was first produced in the Pyramid, Tirana, Albania as a part of Tirana Institute of Contemporary Art residency program. 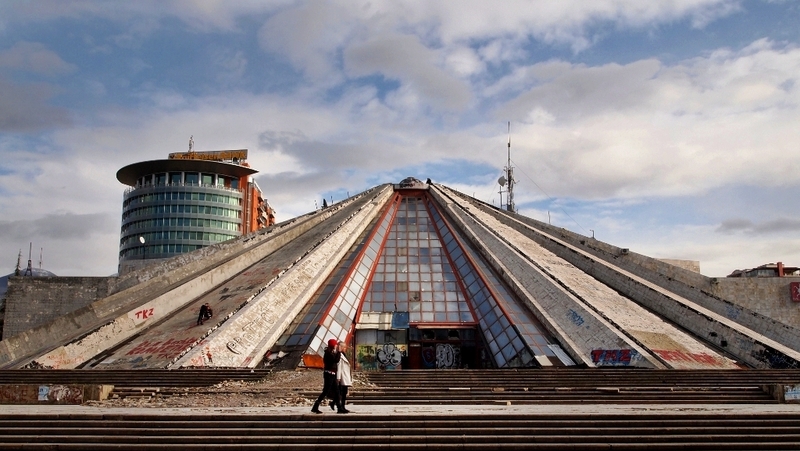 The Pyramid, formerly known as “Enver Hoxha Museum.” is built in 1988. The structure was designed by the daughter and son-in-law of the Enver Hoxha, a former Albanian leader who furthered the ideals of Stalinism for decades after the Russian dictator died. The Pyramid first served as a museum about his legacy. Some sources refer to it as the “Enver Hoxha Mausoleum”. 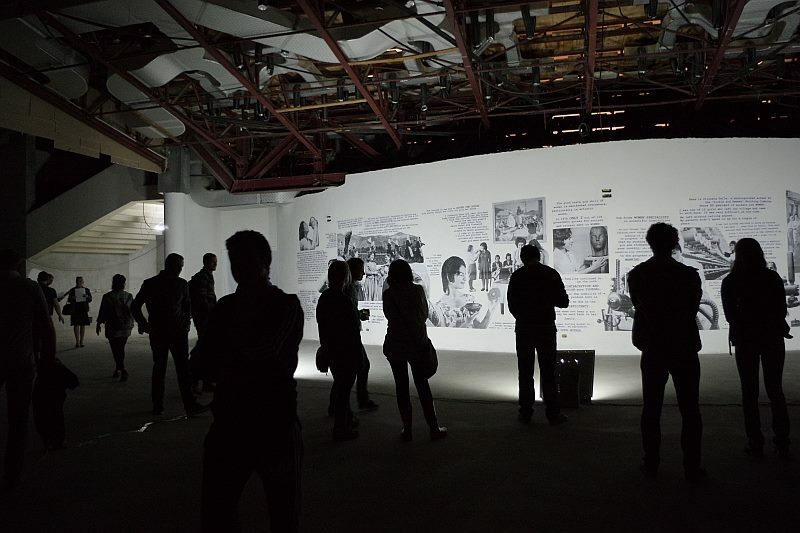 During the 1999 Kosovo War, the structure was used as a base by NATO and humanitarian organizations. 17,000 meters square complex was suppose to be destroyed for the new Albanian Parliament to be built on its place. Prior to this, the structure was supposed to be turned into an opera theatre. However construction works were halted, while the exterior marble tiles were removed and were last seen in a depot outside of Tirana. Combined with the unpopular Communist legacy associated with its construction, the building began being looted for materials and covered in graffiti, leading to its current state of dilapidation. In 2011 hundreds of Albanians have demonstrated to protest against parliament’s decision to destroy the building. The part of the text about the Pyramid is taken from different Web sources.